Kitchen should be lavish and beautiful but more important it should be more practical and functional. Kitchen is the most important room for the person who cooks or serves food. Food would be delicious if cook enjoy cooking. It will provide you a lot of space and you can also use the corner spaces also. 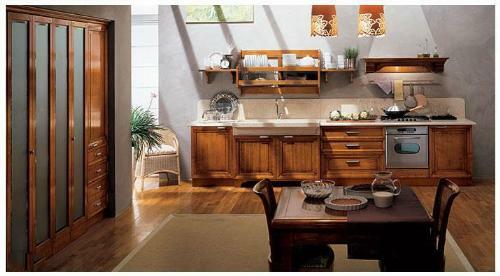 L-Shaped kitchen can easily make U-Shaped kitchen by adding cabinets/island to other side. Galley kitchen is basically, a long and a narrow kitchen. And has the counters on either side of the central passage/walk. 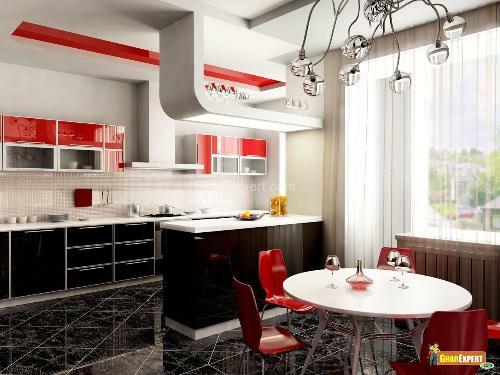 It can easily change into U-Shaped kitchen by installing a countertop/cabinet in the third wall (opposite to door). It is also known as corridor kitchen layout. Two-way galley kitchens will give you a compact kitchen and in this kitchen you have the more storage space. This Kitchen has two door openings. 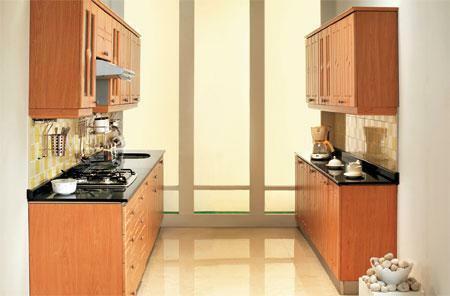 Two-way galley kitchen can easily convert in to u-shaped kitchen by closing off one door opening. 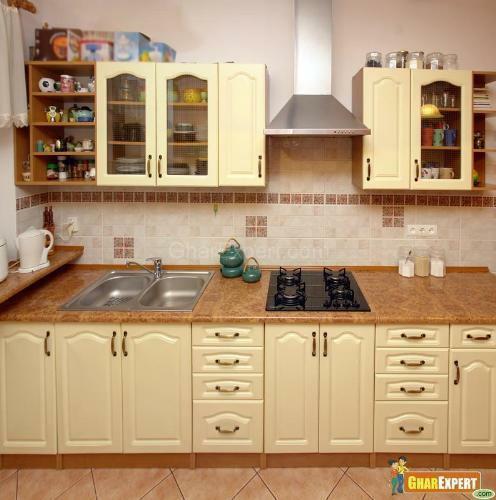 G-shaped kitchen is similar to a U-Shaped kitchen; it only adds the fourth partial wall to the U-Shaped kitchen. 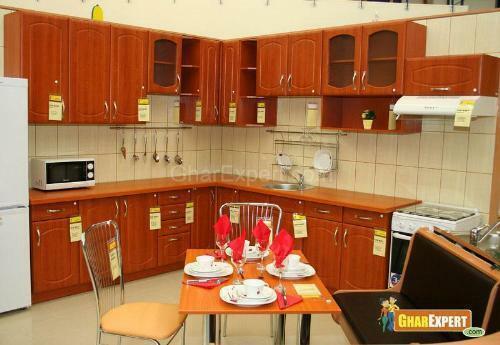 G-Shape kitchen is mostly used for the bigger families. Multiple peoples can work together very easily and it’s a greater kitchen idea for storage space. Very basic, the one-wall kitchen idea is perfect for long and narrow kitchens. It's simple and, as far as kitchen remodels go, fairly inexpensive. While it does not utilize the classic kitchen triangle, its linear design still allows for unimpeded traffic flow. Increase Base Cabinet Storage: you must be add-on the cabinets on the base floors. Do well organize items in your cabinets, so that it can be easily available when you required it. Use Spice Racks for daily needed spices. Put a wall shelf with hooks to hang the mostly used items like gloves, aprons, and tongs. Having a separate cabinet for napkins, mats and tissues, always a good idea and it easy to trace them.